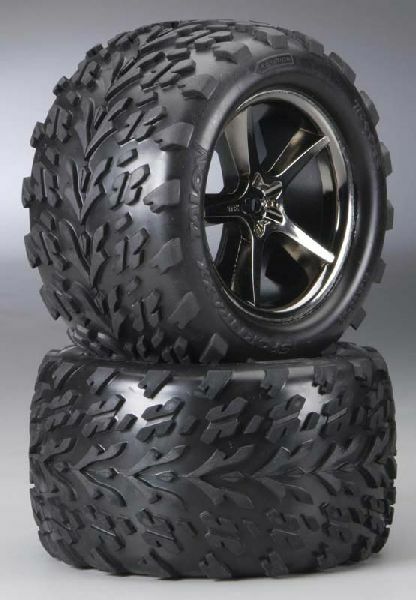 This is TRA5374A, a set of Gemini Black Chrome Wheels and Talon Tires for the Traxxas E-Revo, TRAC07**. Five spoke black chrome plated wheel construction. Talon tires are treaded soft compound low profile construction with foam inserts and are pre-glued to wheels. INCLUDES: Two Traxxas Gemini Chrome Wheels and Talon Tires with Foam Inserts.